Online marketing is a necessity for any business hoping to ramp up profitability and success in the modern age. However, it can also be difficult to understand what should be done and what should be avoided. The right online marketing plan and the use of high quality solutions like WordPress templates can make a very real difference in your success. The wrong move can be very costly, though. To ensure that you’re successful, you need to follow a few industry best practices. More than ever before, your website needs to be focused on providing the best user experience possible. This is even more vital than in years past because of Google’s most recent changes (Panda and Penguin). These modifications of the search engine giant’s algorithm reward sites that provide their users with real information and a good experience, while penalizing sites that offer little or no original content. This point has been hammered on more times than you might imagine, but it bears mentioning once more. If you have duplicate content on your website (no matter where that content originally came from and even if you’re the actual owner of the content), Google will penalize you and your online marketing results will suffer. Duplicate content is the death knell of any site. Once, it was common to create content, place it on multiple article directories, and then syndicate that content to your blog. That’s no longer a viable solution. Your website and blog must have 100% original, unique content. Moreover, that content has to offer real information – it can be placeholder text, and it can be a bunch of garbage text placed there just for the use of keywords. You need real content that offers value to your website visitors – this is a vital consideration in all online marketing plans. Most companies today have a website and a blog. A blog is a vital tool for online marketing, but it must be used correctly. Don’t use your blog as a key component of your main site – that should be for selling your products. Your blog should be for giving your company a personal face and establishing yourself as a thought leader within your industry. Email marketing is a powerful tool. However, you cannot abuse it. If your company generates a reputation for being a spammer, you can expect to fail. How are you supposed to engage in email marketing without sending unsolicited messages? The answer is to use a double opt-in on your website. You can easily gain access to the contact information of individuals who are predisposed to your message (a targeted audience) without resorting to sending out spam emails. You need to follow this rule in all of your online marketing, from social media to direct email marketing and everything in between. Spammers are not appreciated, and with the power of social media, being labeled as a spammer can create serious difficulties and damage your reputation very quickly. If you haven’t jumped on the social media marketing bandwagon, now’s the time to do so. There’s an immense amount to be gained by developing a social media presence. However, you have to do it the right way, and you can’t expect to be an overnight success. While loyal customers are happy to promote your company in most instances, growing your presence through social media does take time and a concentrated effort. The key concept to remember in social media settings is engagement. You need to engage with your followers and friends. Whether tweeting on Twitter or posting updates to Facebook, follow that cardinal rule. If you think that social media marketing is a one-way street, you’re going to wind up as a failure. You must engage your audience and then engage with your audience. Respond to comments, talk to others, share information posted by your audience that would be useful for others. In other words, you need to be an integral part of the conversation. 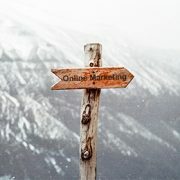 There’s a lot that must be mastered in online marketing, but these industry best practices will help put you on the road to success.